Winner of the 2016 Product of the Year from Creative Child and the 2015 Gold Parent's Choice award! 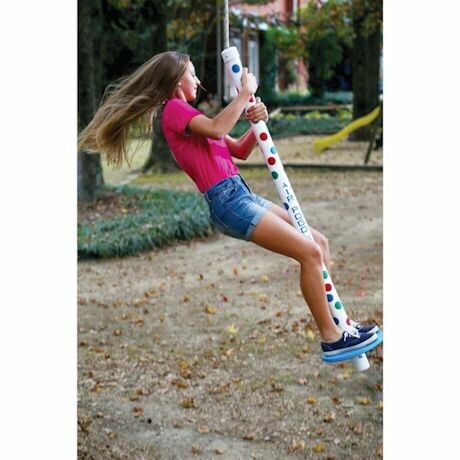 Comes with rope, seat and easy-to-follow installation instructions. 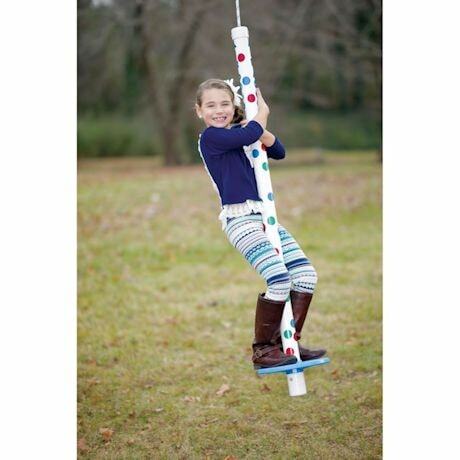 The Blue Air Pogo is designed for children up to 90 lbs. ; Green edition can support up to 200 lbs. 13"x 5"x 62". Ships directly from manufacturer. Item can only be shipped within the Continental US.